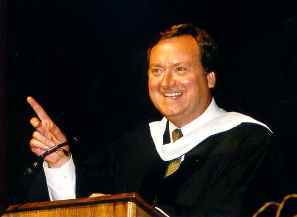 America lost a great Patriot on Friday, June 13th, when Tim Russert died suddenly of an apparent heart attack. When the ‘Breaking News’ alert interrupted MSNBC’s usual coverage that afternoon, I thought it was about the attack on the Kandahar prison that had freed 1,500 inmates, 350 whom were considered Taliban militants. That story had just broken over the various news-wires. But when I saw that it was Tom Brokaw there to deliver the news, it became evident that something more personally profound was about to be reported on. My initial thought went to the safety and condition of the current anchor of NBC’s ‘Nightly News,’ Brian Williams, who has been reporting from Afghanistan this past week, covering the fight against a resurgent Taliban force. While I was relieved that Williams had not come to any harm, I was terribly saddened to learn from Brokaw that his esteemed colleague and friend Tim Russert had passed away at NBC’s Washington bureau, where he was Chief, and where he so tirelessly and passionately worked to inform the American public. Tim Russert was 58; far too young, even in spite of the fact that in his tragically shortened time he accomplished enough to fill three long life spans. Over the past two days, the common theme found throughout the many eulogies of Tim Russert was the genuine love and care he felt towards his fellow man. Of course this was manifested first and foremost in the devotion to his family, wife Maureen and son Luke. For one so noted for his incredible work ethic and attention to detail – he made a point of doing his own research in preparation for his interviews on ‘Meet the Press – what friends and colleagues found most remarkable about the man was how he was able to put his family first. Often the first question asked by one of the most famous of all “questioners” was not about your career or your thoughts on the latest political news making headlines: he would ask you about your family, whom he would know by name. He also made it a point to pass on this preeminent value to those who would come to call him mentor. 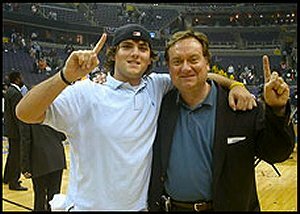 Even in the heat of late night election coverage, Russert w as known to send Mothers and Fathers home so that they could put their kids to bed. This extraordinary connection to the average American family, cultivated from his Buffalo working class roots, was always apparent in the way he did his job as a journalist. 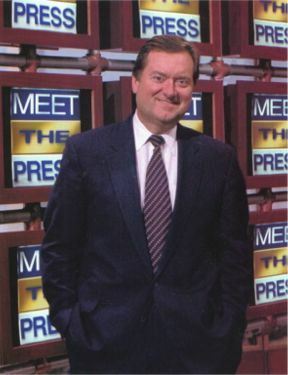 Tim Russert, as moderator of ‘Meet the Press,’ has always been lauded for his objectivity and fair treatment of all his guests from across the political spectrum. If someone left the studio on Sunday morning battered and bruised, it was because of the inconsistency of their own words and actions. Tim may have been the Hangman, but the noose was the intellectual dishonesty that passes for political discourse nowadays. 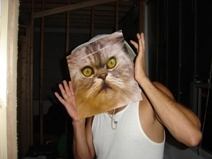 And time and time again, political spin masters fell crashing through the trap door. The greatest lesson that can be learned from the life and work of Tim Russert is that as a journalist he never made it about him. It was always about the Truth. Each Sunday, Tim labored to clear away all the obfuscation that stood between the American people and what the real story was. In this era of round-the-clock news coverage, and partisan anchors like Keith Olbermann and Bill O’Reilly, the type of journalism that Tim Russert practiced is needed now more than ever. Regardless of how he may feel towards and issue or a guest, Russert checked his political baggage at the door to the studio, and did his best to present the information as equitable as possible. For someone so famous for asking questions, his best attribute was the way he listened to the answers. If his life and untimely death can inspire a better Free Press, than it may be the best of all his great accomplishments. In the speech he quotes his favorite commencement address in its entirety: “No exercise is better for the human heart than reaching down to lift up another person.” The tragic irony of that statement is that ultimately it was his heart that failed him physically. Doctors said that they found he had an enlarged heart; and after a life devoted to the lifting up of others, his friends and family could have made that diagnosis themselves. As I type these words, it is exactly 10:30 am on the East coast; and that means its time to ‘Meet the Press.’ The Good Lord had better brush up on the Good Book, because Tim is coming, and I’m sure he has some questions. I grew up in a home where ‘Meet the Press’, ‘Tony Brown’s Journal’ and ’60 Minutes’ were watched religiously. Much like the sadness when the legendary Ed Bradley passed away, I feel the same for Tim Russert. In a time where journalists beat their own chest for the sake of self-congratulation, Russert was a very humble journalist and man. I know he has influenced legions of journalists to follow his lead. Thanks for taking the time to read my stuff; and for leaving the comments. Well said. And I’m so glad that you mentioned Ed Bradley, another titan of journalism, taken from us far too soon. It is sad to see men like them passing on; but it serves as inspiration for people like us to take up their mantle and honor their profound legacy. Again, thank you. Happy Father’s Day. Most likely the wrong morning to comment on the whole but I’m beginning to establish a Monday routine with the Punter. Coffee, heavy eyelids, and JC’s thoughts/comments/ideas. Well done Dude. As a citizen who embraces clarity and responsibility in our muddled political system, I mourn the passing of a hero. I too was there for his commencement speech at Lehigh in 2003- absolutely phenomenal. Perhaps as impressive as his message to our class was its delivery. He was completely believable and truly genuine. I am very sad for his family. I lost my mother to a heart attack in February, she was also 58. She was a huge fan of Tim’s and was also completely blown away by his speech at my graduation. His early passing is certainly everyone’s loss. …on Hookers, Heatwaves, & Horseracing. …on Andrew Kelly-Hayes aka Helmut.